Minecraft and other open-world games are being harnessed to teach course content by taking advantage of students’ creativity. Teachers have adapted video games in an array of classroom content areas in quite creative ways. Of note is Minecraft, the perennially popular blocky sensation, which has a Creative mode that offers a sandbox—an open-world virtual environment where players can often create their own rules and goals guided by self-directed free play. Sandbox games are perhaps the most flexible and malleable game genre, ready to be bent and twisted to meet almost any curricular goal. Examples include Algodoo, a platform where students can design, make, and test Rube Goldberg–style contraptions, and Kerbal Space Program—available to schools as KerbalEdu—a virtual rocket launcher game where students can mess around and experiment with space flight missions. Games scholar James Paul Gee refers to this kind of open-ended learning as “mucking around.” He describes learning environments that “allow children to take risks, try different things, and fail without a high cost.” These aren’t necessarily digital—you can muck around with Legos or cardboard boxes. Sandbox games can overwhelm—they can be unpredictable, and kids can go off task. If you use Minecraft: Education Edition with your students, for example, and you download classroom resources such as the Oregon Trail or Roald Dahl’s James and The Giant Peach lesson plans, you don’t want your students wandering off and disappearing into the digital wilderness. 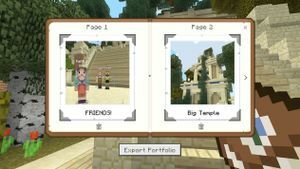 Education Edition has Border Blocks that a teacher can use to prevent students from leaving the area being used for a lesson, but Microsoft’s Meenoo Rami, manager of the Global Minecraft Mentor Program and a former English teacher, has not seen many teachers using this feature. I recently spoke with Rami—who is active in the Connected Learning in Teacher Education network, to which I also belong—about how teachers have adapted Minecraft in their classrooms. 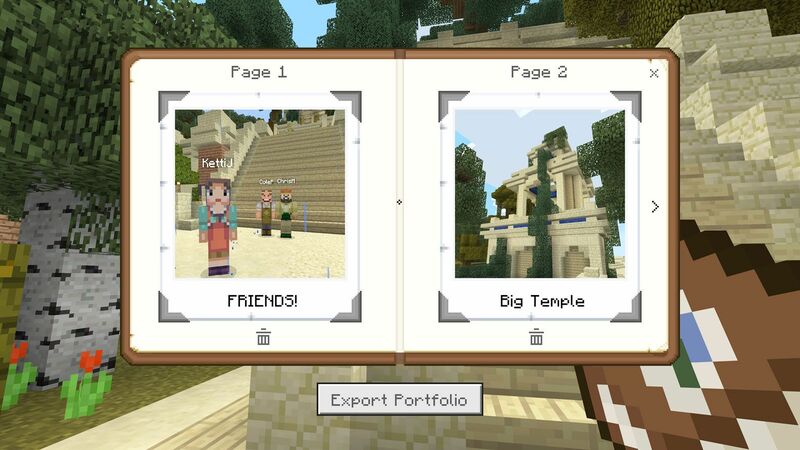 Students can save images connected to course content in Minecraft. These teachers tend to build learning by encouraging exploration and discovery rather than fixating on controlling play. What’s more, games are often so engaging that students want to stay on task. “Once we start providing students with rich, engaging learning opportunities, fear of off-task behavior reduces,” she said. The nearly limitless number of items in Creative mode can be combined to create some surprises. For example, stacking a pumpkin block on two snow blocks results in a snow golem. The opportunity for high-quality tinkering with items in Minecraft is as vast as the player’s imagination. In an example more directly connected to education, Rami shared how a learning experience on ancient Egyptian history could run in the Minecraft sandbox. A class could start with a “flat world”—one with no trees or hills, a blank virtual slate to build on. This flat world can be made up of sand blocks—a literal sandbox. Students can start with a digital field trip mediated by the game world. In groups of two or three, they can create structures that show where Egyptians ate and lived. Teachers can use digital chalkboards to share content and program non-playable characters (NPCs) to interact with students. These NPCs can link to external resources, like those published by PBS or the History Channel—“a seamless in and out of game experience, to have students go to other sites to learn and gather other research information,” Rami explained. There are shared lesson plans in several content areas that are cross-disciplinary. In one lesson, students can calculate areas of blocks to build the Pyramids of Giza, and then compare their work to 3D models from National Geographic and Google Maps. In another lesson, students can engage in a collaborative build, re-creating the tombs under the pyramids. As an assessment, students rationalize and reflect on why they made certain decisions while building. Posted guiding questions for the tomb lesson include: “What would have been inside the tomb, and why would it need to have been hidden?” Another question asks, “What blocks could be used to represent the contents of the tomb?” This asks students to embody content in the game—an important learning concept. 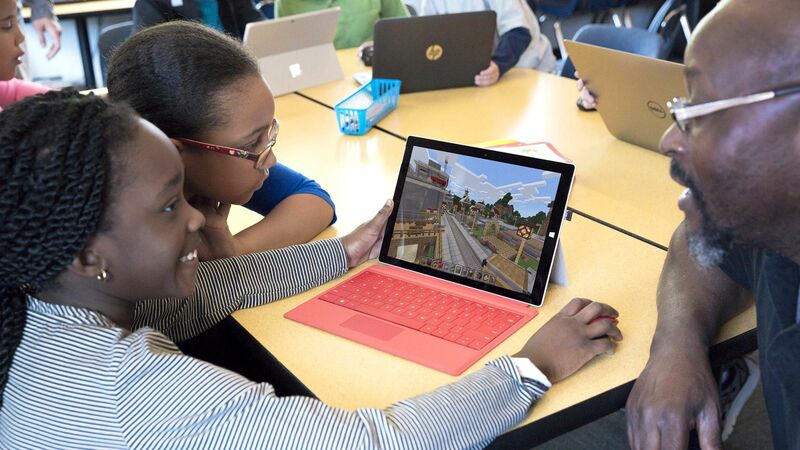 As learning scientist Kylie Peppler notes, “Embodiment is how we learn through gesture or through movement.” When students create worlds in the Minecraft sandbox via their avatars—digital representations of themselves—they can embody concepts that textbooks often present as abstract. Rami described adapting a game like Minecraft to the classroom as a journey. “It’s not like you’re all in or not at all,” she said. When using the game, she recommended “leaning on” students, who are likely the experts in the room. Teachers (and students) can tweet to @PlayCraftLearn, join the community, connect with Minecraft mentors in their area, and join in the weekly Twitter chat (Tuesdays at 8:00 p.m. ET) founded by educators Mark Grundel and Garrett Zimmer. There’s also a trial and a tutorial to help teachers get started.